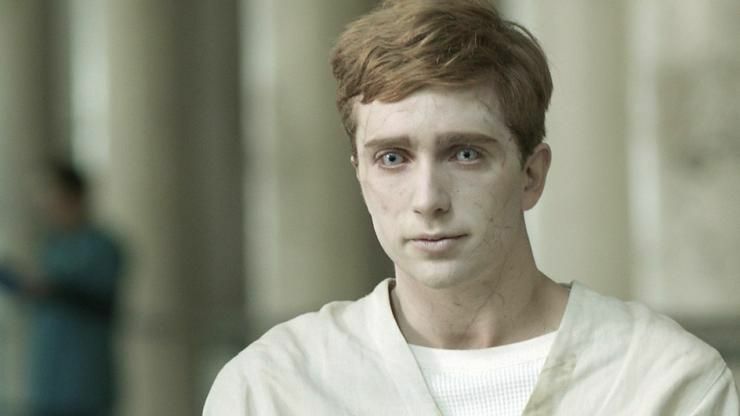 As all speculative fiction should do, In the Flesh asks a ‘what if’ question, and that question is ‘what if zombies could be healed and reintegrated into society?’ Possible answers to this question are explored very effectively over the three episodes of this series. The zombies themselves are humanised brilliantly – they are actual characters, rather than simply fodder for bullets. This is an interesting approach to the zombie genre, and results in In the Flesh achieving something that goes beyond cheap gore. This is not a universe of good and evil – these characters inhabit a more complex moral grey zone, exemplified by the hypocritical HVF, who believe they are protecting their community by being hostile to the zombies. Though they refer to the undead as ‘monsters’, it’s made clear that they have become monsters themselves, despite their best intentions. The audience is prompted unobtrusively to consider various questions – is it right to resurrect the undead? How would this affect your sense of identity? Are the characters’ actions justifiable? The low-key, downbeat atmosphere of the show is extremely effective, providing as it does a sense of alienation and coldness. The audience actually empathises with the zombies as a result of this; we can understand how lonely it would be to be in their situation as outsiders, and the socially reviled group that the zombies becomes can be seen as an effective metaphor for other unfairly ostracised groups like homosexuals or racially persecuted individuals. This theme of social prejudice becomes increasingly important as the series progresses through its three episodes. The writing is very good – it captures conversationally what the natural human responses to such extraordinary situations might well be, and achieves a kind of realism by doing this. It’s quintessentially British in its understated drama and the politically correct naming of the rehabilitated undead as ‘partially deceased syndrome sufferers’. The moments of humour in the show are also part of this and serve as an relief from the darker moments. In the Flesh is, above all, a character piece, and is really unique in the zombie genre for focusing on the zombies as victims and sympathetic human characters. If you haven’t seen it yet, it’s well worth a watch.